First Time in 15 Years, In-N-Out Adds New Menu Item: Hot Cocoa! 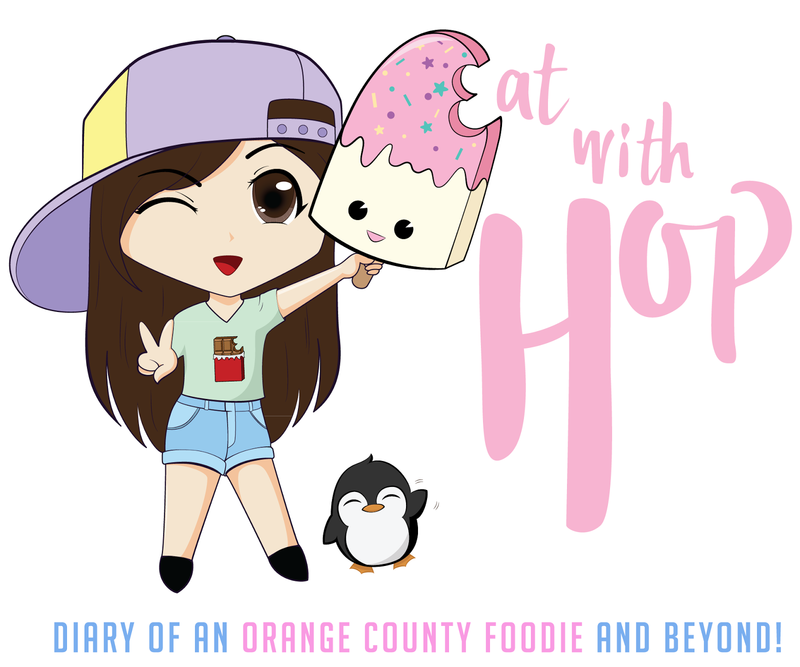 Here's Our Review - EAT WITH HOP! 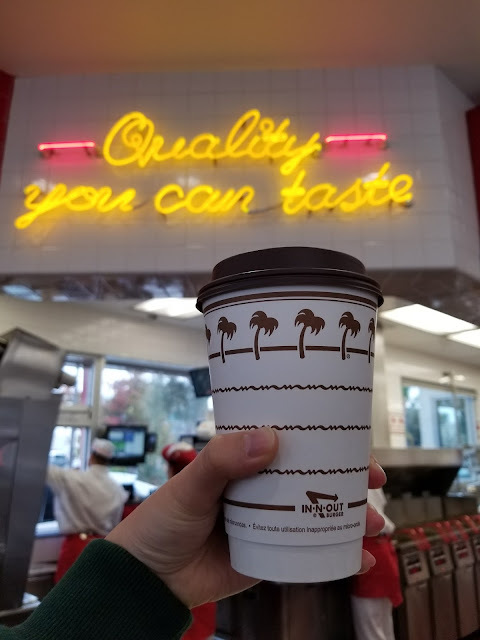 It was the perfect day for Hot Cocoa! 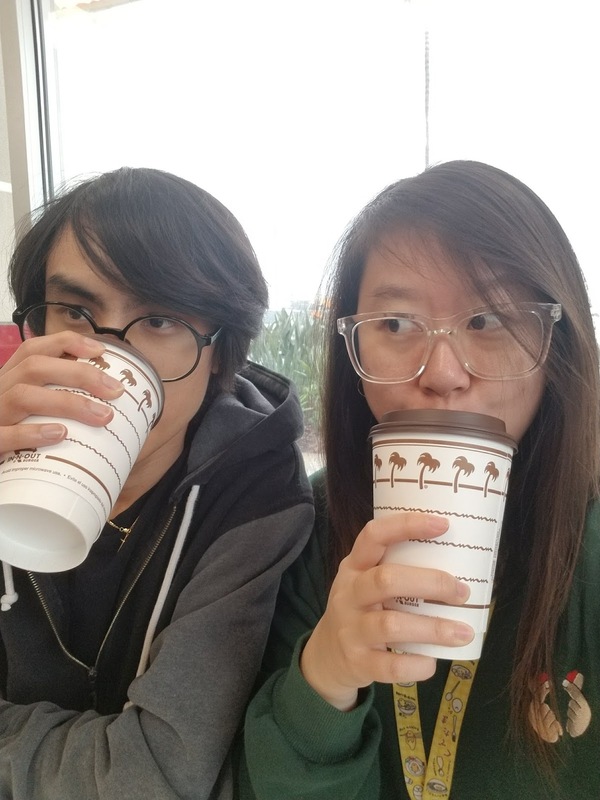 During his lunch break, I visited his nearest In N Out so we could try the new Hot Cocoa together! Apparently, it's the first menu addition in 15 years. Dang! 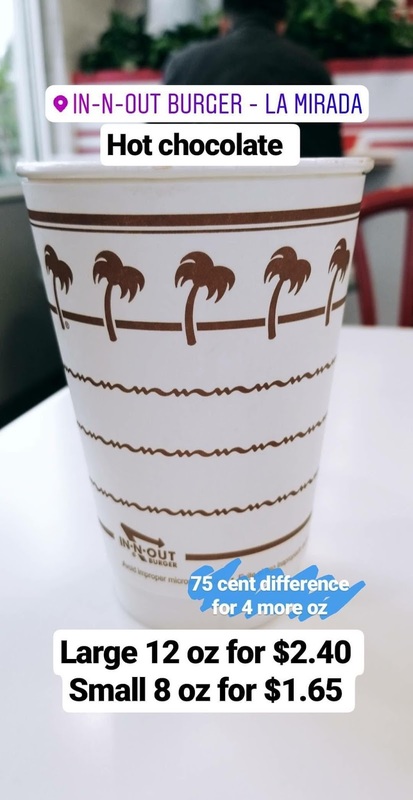 15 years ago, lemonade was added to the In N Out menu! So this is what the hot chocolate looks like. The cocoa powder is sourced from Ghiardelli, which is already known for having superb chocolate. The color of the drink is a brown. I got marshmallows in mine (right) and it completely melted away while I drank it. As you can see from the photo above, once the chocolate settles, the color turns a darker brown. 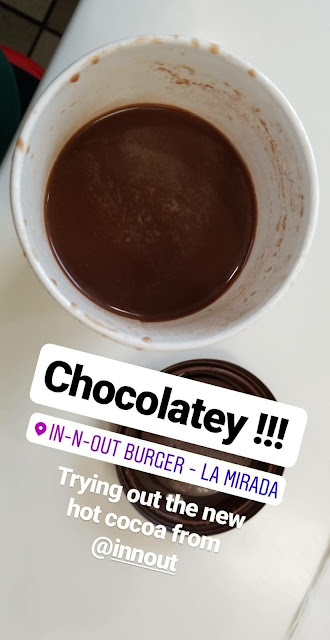 Looks really chocolate-y. Since it was raining today, I saw this sign! 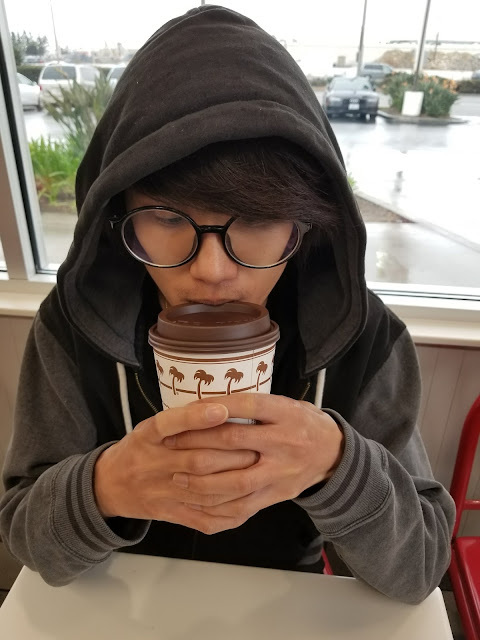 If you have a kid who loves hot cocoa, bring them to In N Out! 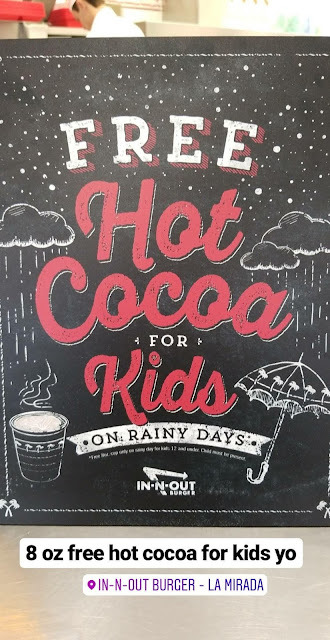 It's free for them on a rainy day (8 oz)! Must be 12 years or under. We are just chillin` with our hot chocolate. Yummm! The overall taste wasn't WOW. I am a hot cocoa fan and prefer mine to be dense and deeeeeeeeep tasting. I initially asked the cashier if mine could be extra chocolate-y, but they just pour it from a machine (??). It's already pre-mixed and made so the workers can't control the flavor. If you want marshmallows but don't want them soggy and disappear into the drink, request them on the side. This drink is just pretty good for what it is. 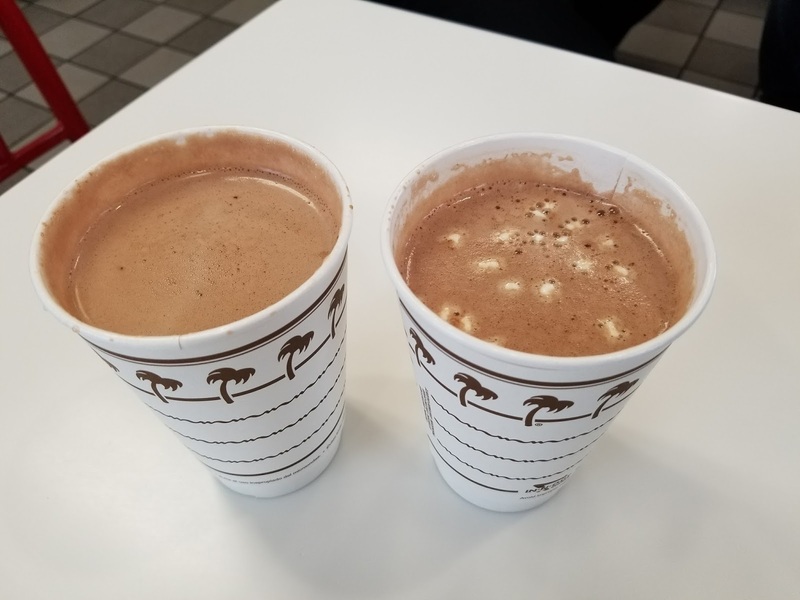 It is decent hot chocolate that is quite chocolate-y for a few bucks. Won't hurt your wallet. 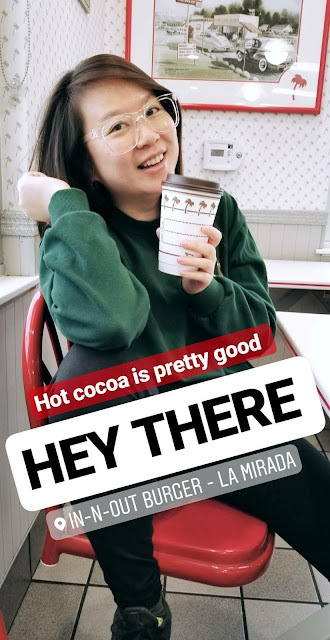 It does definitely taste better than other hot cocoa made with water. But this is made with water. Yet, it tastes better than you would think for chocolate + water. It sort of sort of has a creaminess to it. Overall, I totally recommend it if you are craving hot cocoa because In N Out's version is decent and cheap! 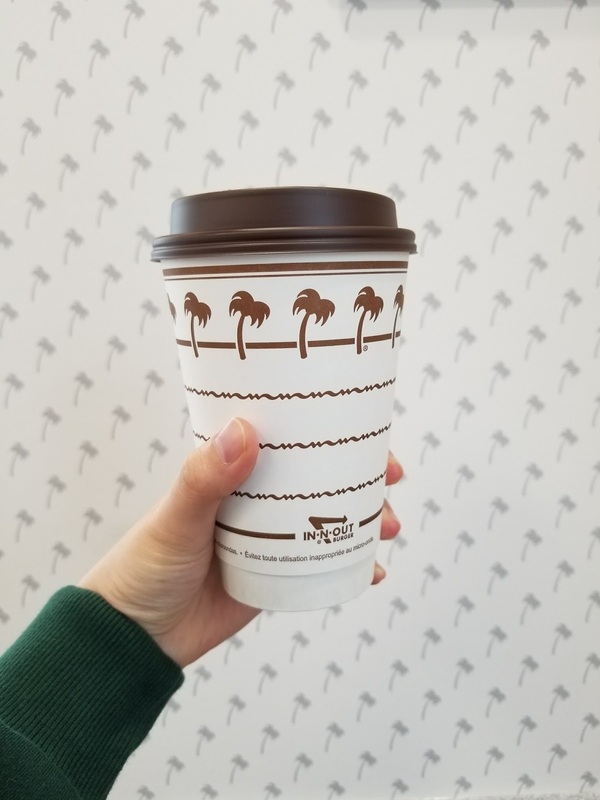 The Hot Cocoa is available at all In N Out locations. We specifically went to the La Mirada location!